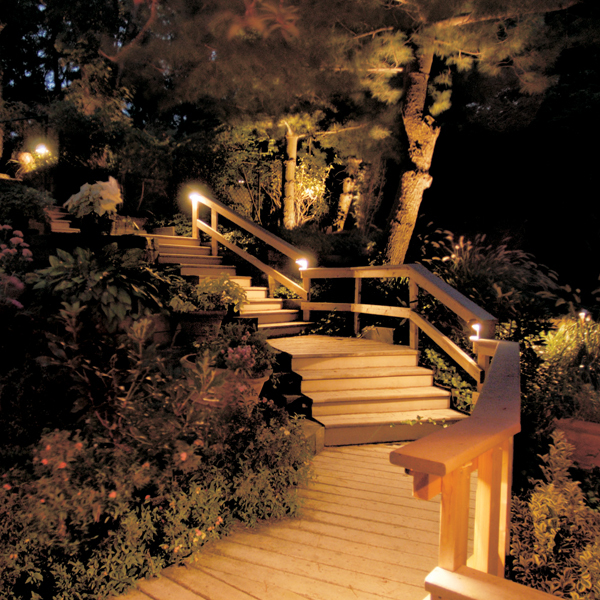 Lighting along these steps is not only beautiful but offers a safety factor. 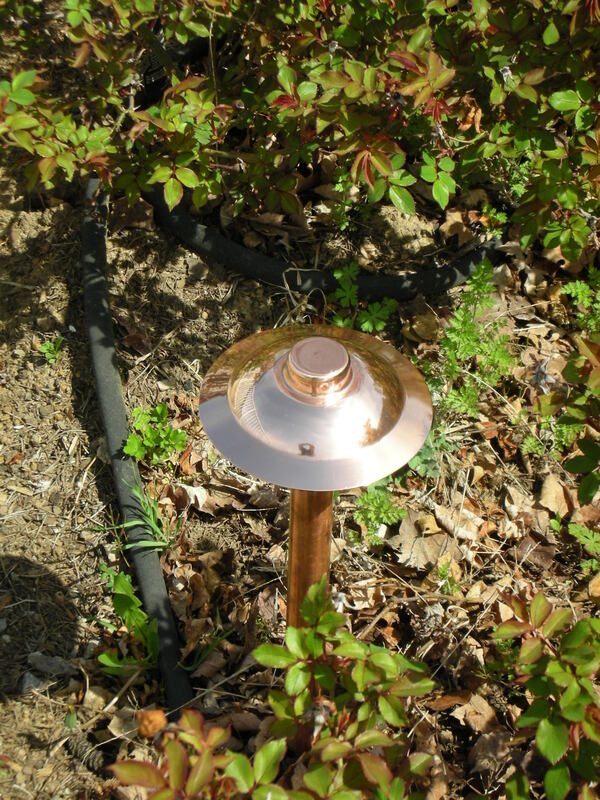 It is now possible to retro-fit your old outdoor lighting fixtures and turn them into LED fixtures. Outdoor Lighting Perspectives of Nashville is offering this to customers who want to make the change over to LED without having to start all over with a new system. We can usually retro-fit about 95% of our lighting and we can retro-fit our competitors lighting in most cases following a thorough inspection. We have made the transition an easy one. We simply remove the internals of your existing fixtures and retro-fit them with LED internals. When we come out to complete a conversion we also check your transformer and adjust the voltage, re-cover any exposed wiring, reset timers and review this with you and introduce any timer or fixture upgrades available for your specific needs, adjust all your fixtures and even do any light trimming of landscaping to allow your fixtures to achieve the best effect. Our retro-fit conversions also carry a three-year warranty on the lamps with an option to receive lifetime warranties on the entire system with a yearly checkup by an Outdoor Lighting Perspectives of Nashville representative as well. Conversion to LED can cut the power consumption and extend the life of your outdoor lights dramatically. A good example is if a client has 20 outdoor lighting fixtures on their property at 35 watts per fixture, that equals out to a total of 700 watts. With our LED retro-fitting conversion we can achieve the desired lighting effect with the total wattage coming out to a mere 120 watts! Outdoor Lighting Perspectives of Colorado recently did a piece on this topic as well, you can click on the link below to find out more. This entry was posted in Green Lighting, LED, Outdoor Lighting, Outdoor Lighting Installation, Outdoor Lights Nashville, Residential outdoor lighting, Retro-fitting conversion to LED and tagged Landscape Lighting, LED Nashville TN, lighting, lighting specialist, Lighting Tips, Nashville, Outdoor Lighting, outdoor lighting Nashville, outdoor lighting perspectives, Retro-fit LED conversion Nashville TN by Michael Wynn. Bookmark the permalink.